Convection ovens circulate hot air around your food to speed cooking and ensure that meat cooks evenly. To prevent your meat from drying out, roast pork at a lower temperature and for less time than you would in a traditional oven. 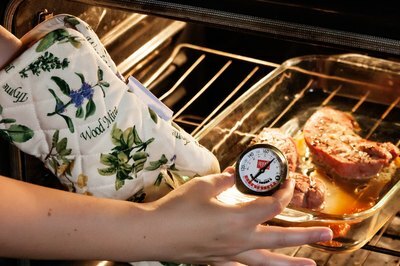 Thorough cooking is especially important for pork, so you should also use a meat thermometer to check the internal temperature before you take your roast out of the oven. 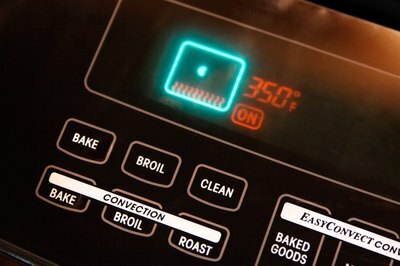 Determine the appropriate cooking time and temperature. 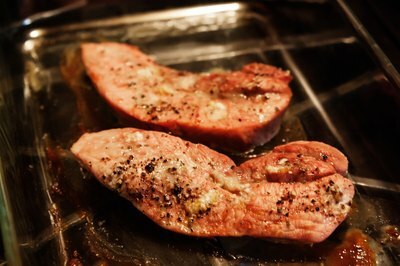 Pork tenderloin traditionally roasts at 350 F for about 35 minutes. In a convection oven, this should be adjusted to 26 minutes at 330 degrees. 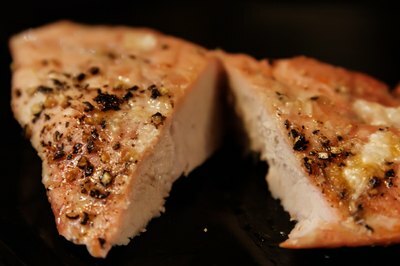 Pork chops are usually roasted for 45 minutes at 350 degrees, which should be reduced to 33 minutes and 330 degrees in a convection oven. For other cuts, or if your recipe calls for a different cooking time, use the conversion calculator in the resources section. Preheat the oven and prepare the meat for cooking. Trim away any extra fat, and rinse the meat under cool running water. 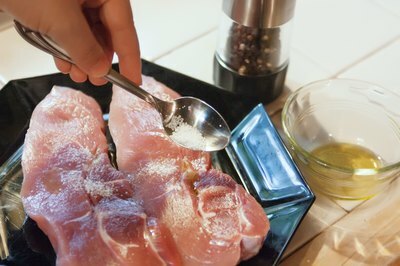 For lean cuts like pork tenderloin, rub the meat with olive oil to help it stay moist during cooking. Season the meat with salt, pepper and spices and place it in a roasting pan. Put the meat in the preheated oven, and set a timer for the appropriate time. Resist the urge to open the oven during cooking; convection ovens lose a lot of heat when they are opened, and will also blow painfully hot air in your face. When your timer goes off, open the oven and stand away for a moment to let the heat dissipate. 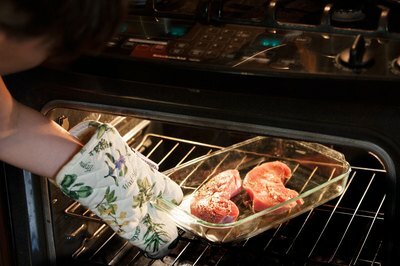 Insert a meat thermometer into the thickest part of the roast to check the internal temperature. Pork should be cooked to at least 160 F. If the internal temperature is at least 160 degrees, remove the roast and set it on the stove to rest. Allow the meat to rest for 10 to 15 minutes. Resting allows the meat to reabsorb juices that were lost in the cooking process, and will give you juicier, more evenly cooked meat. After the pork has rested, it’s ready to be served. You may want to turn your pork halfway through the roasting process so both sides are evenly crisped. This is not necessary with a convection oven, but some cooks choose to do it anyway.